The best part is that I didn't have to make it! 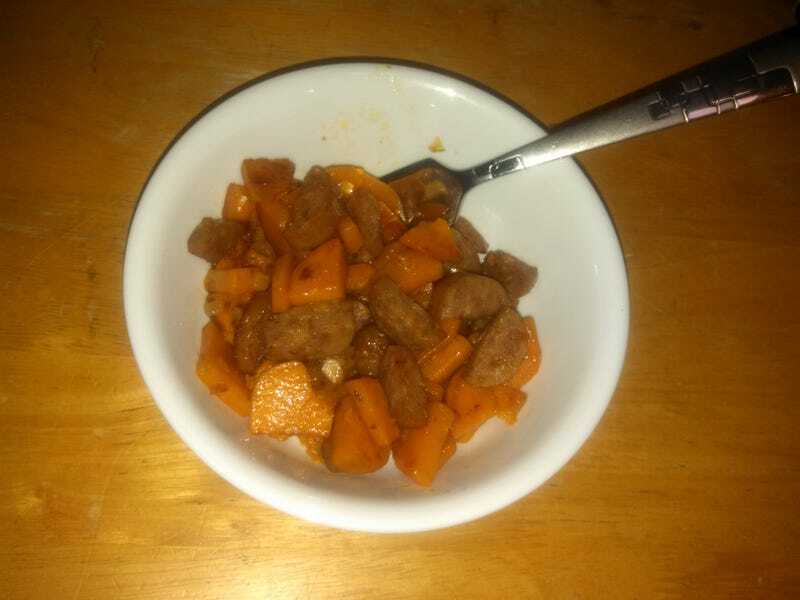 And, y'know, it was delicious :) Sweet potatoes, onions, and garlic with cheddar sausage. Fried in butter, of course. Holy cow it was good! Other-Husband is a very creative cook and he makes some stuff I just love. This is totally going on that list!